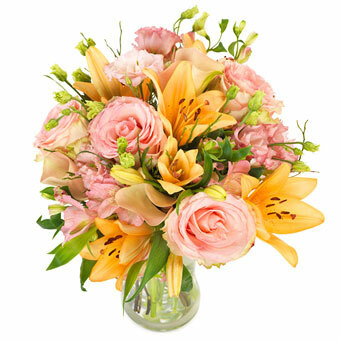 The softness and colors of these flowers make you almost feel like you want to touch it. Hand-tied by the local florist with Lilium roses, calla and more. The vase is not included but is online available.